After circling around and around this question, we decided to submit it to the consideration of six writers on the left. Their responses are below. 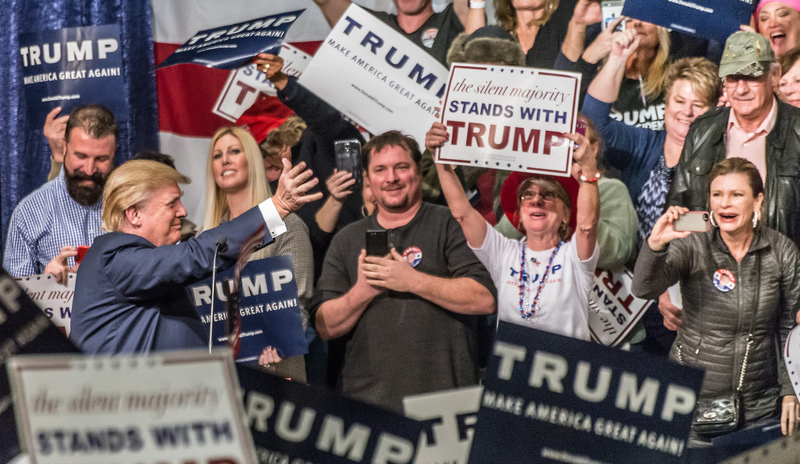 Every dollar spent pursuing white Trump voters is unlikely to yield the desired result. 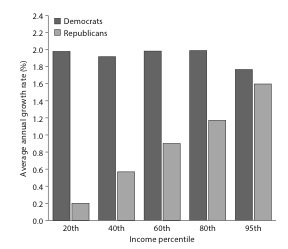 Real Growth in Pre-Tax Income by Income Level under Democratic and Republican Presidents, 1948–2014. Source: Larry Bartels, Unequal Democracy, 2d ed. (Princeton University Press, 2016). It will not be enough to just focus on people of color, the young, and educated, upper-middle class whites. Working people in blue states and red states share the same embittering experiences. We need a broad coalition that includes substantial numbers of racially anxious whites.